Fully portable and the lightest model in this power range. Suitable for areas up to 50 square meters. The Kompact 15, even on the most humid of days, this pure white angel can make your lounge or office cool and comfortable. And thanks to its ultra – quiet operation only 50 dB. Despite its small frame only 78cm high and ultra-light weight 35.5Kg, this Portable Air Conditioner packs 15000btu of cooling and heating power. 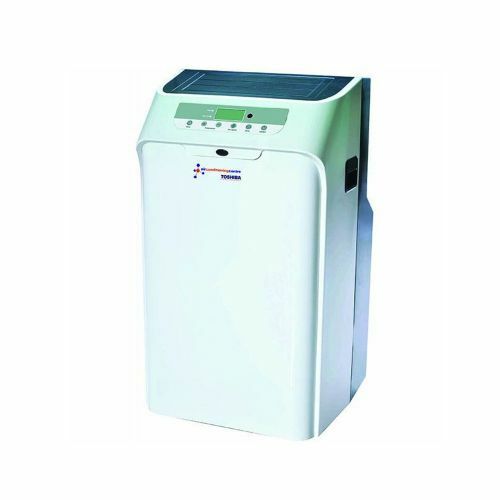 This model is an air conditioner, heater, dehumidifier and fan. It is an energy efficient multi-season unit utilizing heat pump technology to extract heat from the air while consuming less energy than other portable units. Our evaporative technology uses any collected moisture to cool the unit before it is eliminated through the exhaust ducts leaving no water bucket to empty. Suitable for large rooms, kitchens, offices and other hot spots. Fully portable and the lightest model in this power range. Full remote control. 24 Hour timer and Three fan speeds. Air circulation 550 Cu.M/Hr Attractive discreet styling. Includes long 1.6 metre exhaust hose and window mounting board for venting.